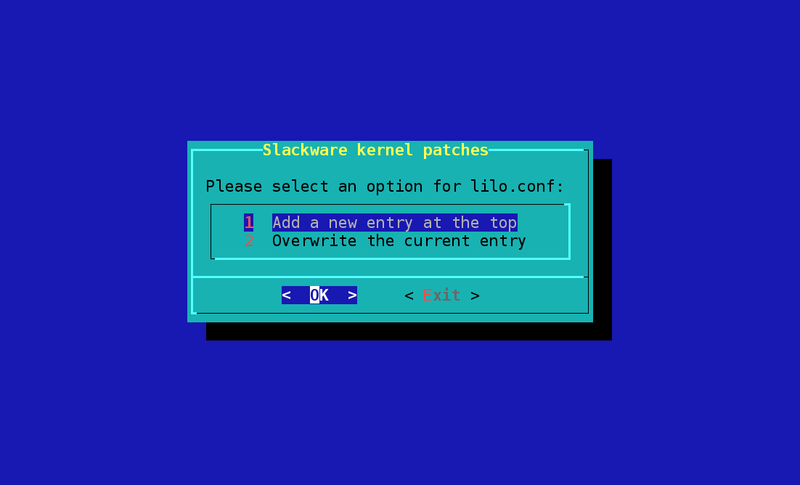 In the previous post I talked about my attempt to create a script to automate the kernel patches installation procedure on Slackware (stable) and I reported the quick ‘n’ dirty instructions to run it, with also a video demonstration. A few time after, a dear friend tried the script and he pointed out to me it failed with errors. After asking him to provide me some details, I understood almost immediately what was the problem: the script didn’t work with http mirrors. This because I tested my code only with ftp mirrors. Then I started to make some changes to the code in order to support both the mirror types. The way to detect the root partition has been changed by using the mount command in place of df. There are also some minor improvements to the code and to the interface (based on dialog) which I don’t mention here since they are not so important. Anyway you can check the commits history on GitHub. I’ve not a detailed plan for now, but I know that some small improvements are needed. One of these could be to change the pattern variable used to find the root partition in order to better match the linux partition naming: this is intuitive if you think about the typical name of the partitions on a SDHC card (for example /dev/mmcblk0p1). I’m waiting for the next Slackware stable release to try to install the ARM version (hard float) onto a Raspberry Pi. If possible, I would like to adapt the script in order to support also the ARM version of the distribution.